Tag Archives for " Choose Yourself "
Choosing Yourself sounds a tad selfish for some, but the fact is, it’s the only choice that allows you to be of service to others. 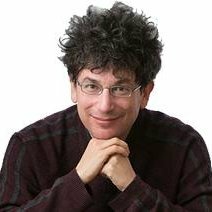 My guest for this week’s episode of the Duct Tape Marketing Podcast is James Altucher. Altucher is the author of many books including Choose Yourself, a Wall Street Journal Best Seller, and Reinvent Yourself. He and I talk about why ideas are the new currency and why people should choose themselves. Altucher is a Top 10 LinkedIn Influencer, prolific writer, successful entrepreneur, podcaster, and venture capitalist. He has founded, or co-founded, more than twenty companies and is actively invested in, or advises, over 30 different companies in areas ranging from tech to energy to healthcare to biotech. But, what I admire most about James is that he adopted the ability to not care what others think – in fact, some might call him a contrarian – and I mean both in the best way possible. By sticking to the scripts we are fed our entire lives, we often miss so much of what’s possible. Read everything that Altucher puts 0ut if for no other reason that to have a check on what you think is true. Where did the idea of Choose Yourself come from? How can people reinvent themselves? To learn more about James Altucher, click here. To buy Choose Yourself, click here. To buy Reinvent Yourself, click here. To listen to The James Altucher Show, click here.